Create links and post them without using our dashboard! 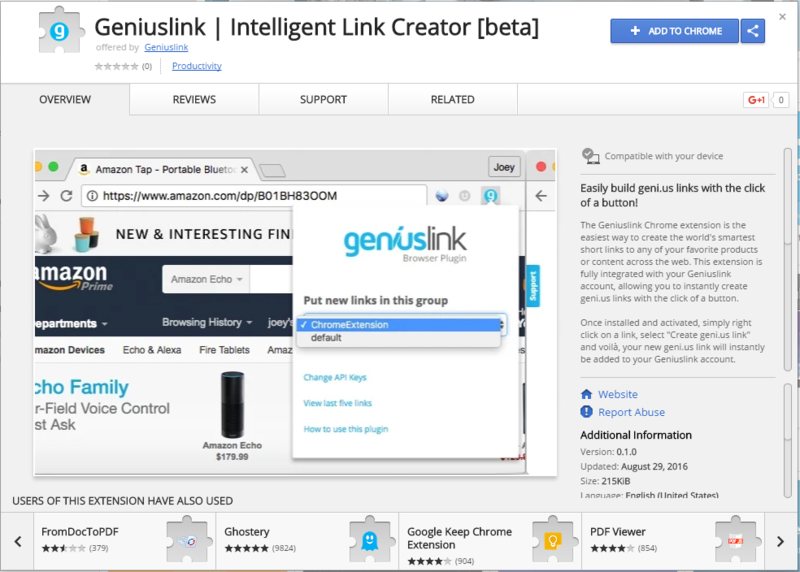 Create links from anywhere across the web with our Geniuslink Chrome Extension! The extension allows you to right-click on a link anywhere on the web (or just use the page you're on) and create a shortened intelligent link without having to copy and paste the URL manually into your Geniuslink dashboard. 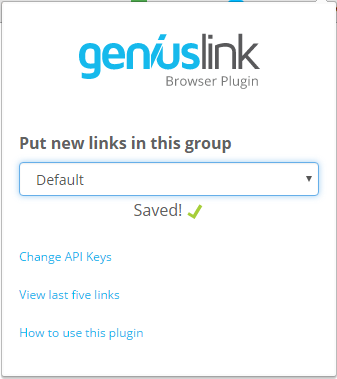 Head on over to the Chrome Web Store and search for Geniuslink - or just click here. You'll now see the Geniuslink G in your Google Chrome toolbar (top-right of the browser window) to let you know it's installed. Nice. Navigate to the Tools page in your Geniuslink account - or just click here. Once the keys have been verified, select the Group you want to sync your links to when you create them. That's it! Your plugin is now ready to be used. Once installed and activated, simply right click on any link, select Create geni.us link and voilà, your new geni.us link will be added to your Geniuslink account instantly! Alternatively, you can right click anywhere on the page and create a geni.us link from the URL of the current tab. Once created, you'll get a dialog box to let you know that link has been added to the group you selected. Copy and paste links from that menu as well if you want to immediately post the links you've created. 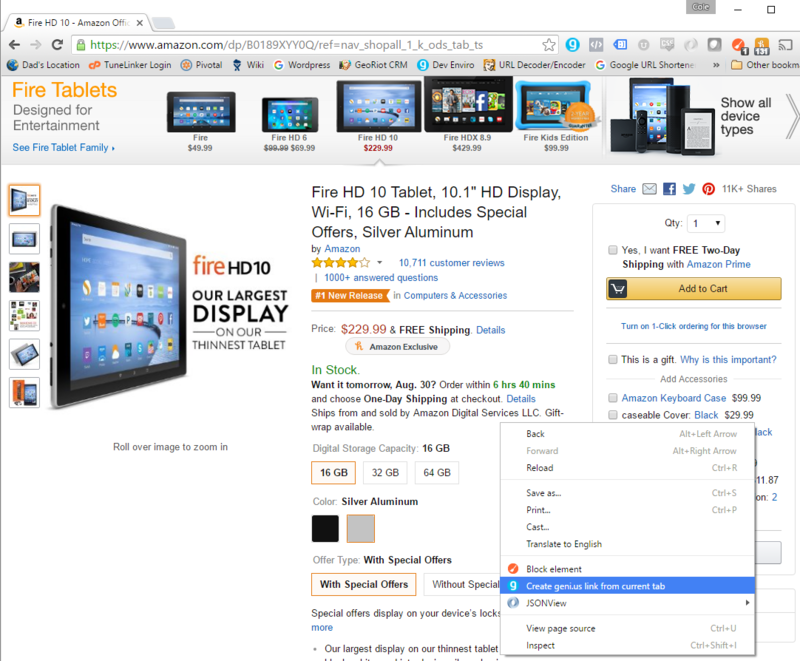 Want to customize your links further? No problem! Log into your Geniuslink account, where you can edit your new links to add advanced targeting rules, retargeting pixels, choice pages and more. Create the world's most intelligent links and customize them to your heart's content!